I fish the FX Straight Tail a lot. Honestly, I only use one FX color, "Aaron's Magic 2". I fish Roboworm's non-FX straight tail worms when I'm using other colors. But this color and worm in 6" is awesome. It doesn't get better than this folks. I fish this Roboworm more than any other. The best colors are 'Margarita Mutilator', 'Aarons Magic', 'Martens Madness' and 'Red Crawler'. I use every size. For baits about 3", use a #1 size. For baits 4" and up, use the 1/0 size. If a bait is particularly bulky or thick, you will need a 2/0 size. Those three sizes cover pretty much every size bait. I use the River2Sea tungsten drop shot sinkers often. I like the 3/16 oz for pretty much all drop shotting situations. Sometimes the 3/8 oz when fishing deep so I don’t have to wait long to hit bottom. Also available at Cabela's and Monster Fishing Tackle. I'm a fan of XPS Fluorocarbon because of its price. Bass Pro Shops runs some awesome deals and sales for this line where you can stock up at a good price. One of the best affordable fluorocarbons. In this video, Kevin goes in-depth regarding the drop shot rig and its importance in nearly every kind of water and condition. You'll get the strategies and techniques you need to make the drop shot work for you. Kevin covers equipment considerations, the different types of drop shot baits, common scenarios and valuable rigging tips. More importantly, you'll learn that the drop shot is not just a specialty technique. A lot of folks these days know about the drop shot. But I think there is still that disconnect, that notion that the drop shot is a specialty technique that's pulled out of one's bag of tricks. It's a finesse technique, no doubt about it. But most anglers don't envision finesse tactics as "everyday" tactics. To too many anglers, the drop shot represents a fall back plan in case their spinnerbaits, jigs or crankbaits don't produce. It's a rig you go to if you're down and out or have come to the conclusion that bass are being finicky. If you come away with one thing, just one thing, from this video, I hope it's a new association to what purpose and what place the drop shot has in your fishing arsenal. It is an everyday technique, just like jigs or spinnerbaits. And more importantly, as we'll show you in this video, it's also a great "everywhere" bait too. I wouldn't say this about other lures. I know a lot of people read magazine articles on different lures and you hear these canned phrases and headings like, "WHY YOU MUST FISH THE DROP SHOT NOW" and "WHY YOU CAN'T AFFORD NOT TO FISH THIS LURE", etc etc. I don't and won't do that for lures I don't believe merit such statements. But I can and will for the drop shot. Let's first go over how you tie a drop shot rig, because there has been a whole lot of hoopla and arguing over what knot is best for fluorocarbon line, which is the only type of fishing line you want to be using anyway. The big talk is that the Palomar knot is about the worst knot to use for fluorocarbon, because it cinches down on itself and breaks. So many pro's have been harolding the San Diego Jam knot and also the Uni Knots, saying they don't break nearly as often as the Palomar. Now, using these other knots are fine, but I personally don't believe the Palomar has any more risk of breaking than these other knots if it is tied correctly. While I haven't seen any scientific tests, my personal observations have been that the Palomar works just fine and has proven to be just as reliable as the San Diego Jam or Uni Knots. The key is making sure the Palomar is cinched down properly and you must always, Always, wet the line thoroughly before cinching it down. Ensure that the knot is seated correctly and always pull both the main line and tag end at the same time when cinching down the knot... don't cinch it too fast either as that can cause friction and weaken the line. And when you're tying the knot, make sure your hook doesn't spin around and put a twist in the two lines. As long as you are careful in wetting the line and cinching it down properly, I don't believe there is any reason not to use the Palomar knot when tying the drop shot rig with fluorocarbon. And Remember, your tag-end is going to come back through the eye of the hook so it rides upright, so leave it long enough to be used as your leader to the drop shot weight. There are really only three hooks that I use for 99% of my drop shotting. They are the number one, 1/0 and 1/0 weedless drop shot hook. These three hooks will cover the full spectrum of conditions and size baits. The hooks are small for a reason, you don't want to limit the action of the worm, so nose-hooking these small number one or 1/0 mosquito hooks is all you want to do. The number one size drop shot hook is good for your smaller baits, usually around 3 inches. I'll go to the 1/0 for anything larger than that, like 4inches or more. The 1/0 weedless drop shot hook is a pretty cool design specifically made for the drop shot. I think this one is made by Owner, but what it does is it just allows the hook point to be more at a true 90 degree angle to the main line, and that helps both the action of your lure and helps the hookset. The length of your leader below the hook can be important in certain conditions, but for the most part, I always rig mine at around 15-inches off the bottom. When I first started drop shotting, I had it much shorter at around 10-12 inches, and I think I've noticed a big difference moving it up a couple inches to 15, and I'll discuss why a little later. 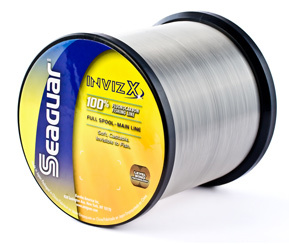 You can experiment with leader lengths up to 2 and 3 feet, but that's if you see evidence of bait or bass suspended that high of the bottom on your sonar or something. The sinker is probably the biggest no-brainer. Use a dropshot specific sinker. They have the little metal clamp thingy on the top that allows you to just wedge your line tight on the weight. Tungsten is preferable, because you don't wan't to draw attention to your sinker, and the denser tungsten gives you better feel. Some dropshot sinkers now even have built in swivels so you get less line twist, that's pretty cool, because you can get a lot of twists fishing this rig. As far as the weight, use a 3/16 oz. You can go a little lighter or a little heavier if you want, but I don't. You should have a small selection of sizes and colors to use for your drop shot baits. I'm going to show you what I carry at all times in my drop shot box. I use just about all of these a good portion of my drop shotting time, so it's not like one size or color is better than the others you see here. The important thing is to have a range of sizes, from small 3" size baits up to 7 inches. As you can see, I carry 3", 4", 5", 6" and 7" drop shot baits. Generally, if the fish are really moody or the water is super clear, I go small. But if the water is semi-stained, the fish aren't extremely moody or I'm fishing around a lot of cover, I'll go big. And of course, the cool thing is if you're not sure, go with something in the middle like a 5"... sometimes your just going to have to guess. Now color selection is something that I derive both on what's known to work in the body of water I'm fishing, and quite honestly, Aaron Martens recommendations, since he is my dropshot hero. So let's discuss some basics and get to Aaron's recommendations. First and foremost, you can never go wrong with my three favorite soft plastic colors, green pumpkin, watermelon and junebug. Green pumpkins and watermelons are great when the water is clear or when the sun is out, and junebug is a dark color that is good when it's dark out like in the morning or evening, or if the water is stained. Now there is a company named Roboworm that makes a lot of drop shot worms, and they are kind of known for their color patterns and how they mold their baits. They're certainly one of the most popular drop shot bait manufacturers, and they have one of the best drop shot anglers on their pro staff that uses their baits and recommends certain colors for various conditions. I have been using his recommendations for some time with great success, so I'm going to share them with you as well. Because I primarily fish lakes and rivers that don't have the super clear water I've seen out west, my color selection is geared a little more towards clear and stained conditions, not so much "ultra-clear", which we don't get too much of out in the east. So for most situations, I've had success with a color by Roboworm called Aaron's Magic and Aaron's Magic 2. On many of the rivers here on the east, yellow perch are massive in numbers, and I always like to imitate a yellow perch when I get the chance, so this Aaron's Magic 2 color does a great job. This one right here is margarita mutilator. I use this if the water has some color to it or it's a cloudy. And again, I also use green pumpkins, watermelons and junebugs. It's funny, I probably use all of these equally, so they all get used quite a bit. Let me show you the proper way to nose hook one of these baits, because you can nose hook it too deep and risk having too much plastic bunched up in the bend of the hook. Just barely nose hook enough to get a grip on the plastic so it doesn't move up and down the bend of the hook. If you nose hook it too deep, you're left with all this plastic in the bend of the hook, that's too much. Let's talk about the proper rod and reel setup for dropshotting. Many of you may not have a dedicated drop shot rod, and that's okay.. just use whatever matches the ideal setup best you can. The ideal setup is a 7' medium-action spinning rod with a fairly light spinning reel, something that isn't heavy and will give you good feel. That's it. Nothing fancy. The only time I will go to a baitcasting rod and reel is if I'm pitching a drop shot rig into cover. Like if I was in the back of a creek and wanted to pitch something with some finesse into little nooks and crannies. I get a lot better control pitching with a baitcaster. I use this Shimano scorpion, which is a small-profile baitcasting reel that works great for finesse stuff like drop shots. But like I said, unless you are pitching tight cover, the spinning reel is your top choice. You can cast a drop shot rig! You don't have to drop it down vertically and work it under the boat. In fact, I pretty much cast it or pitch it every time. This is one of the hangups I think a lot of drop shot fishermen are having. I think it's been pegged too much as a vertical presentation, and that is what has given the drop shot that "niche" or "specialty" aura about it. No doubt about it, if you mark some good offshore structure or cover, you can drop it right down under the boat and watch it on your sonar get right next to the fish, but you scare a lot of fish that way, especially with your sonar on. I prefer to mark a fish or piece of cover with a waypoint, back off and cast to it. I think you have a much better chance of catching those fish if you aren't on top of them. It's a little more difficult, but that sonar scares fish if you shoot your beams right down on them, especially the big ones. So let me show you one way to work the drop shot. First things first, cast it out and let it hit bottom. A great way to catch fish is to simply drag it on the bottom, sort of like a Carolina rig or sometimes even a crankbait with a stop and go retrieve. Don't let the sinker come off the bottom. It's incredibly easy and just the movement of your rod tip and the sinker dragging the bottom will impart all the action that bait needs to catch fish. Don't shake it as your dragging it or any of that. Remember, this is a finesse technique, finesse doesn't mean tons of action. If tons of action meant you could catch more fish, you'd be drop shotting a creature bait with 10 legs rather than a straight worm. You don't need to add action to the lure if you are dragging it. Now the other way you can fish it is more or less the standard drop shot technique. Cast it out and let it hit the bottom. And what you're going to do is lightly shake the worm in place. Listen up, because this is real important... when you shake the worm, don't move the sinker. If you feel the weight of the sinker when you are shaking your bait, you're doing it wrong. The key is to have just enough slack in your line to let the bait shake freely with your rod tip, but not feel the sinker. This is crucial. I'll shake it in place for a good 5 or 6 seconds before moving it to shake again. When you go to move it, I either just drag it like I showed you, or if I want to cover water more quickly, I'll sweep it a good 4 to 5 feet real quick to put it in a new area and start shakin' again. You know, if it's winter or the bite is dead slow, sometimes you gotta shake it for a long time to get those finicky bass to bite. So determine how long you should shake it based on what mood you think the bass are in. Experimenting is the key. And that's pretty much it as far as retrieve. It's some easy stuff that is actually quite fun. Because it is a finesse technique, and we're mostly dealing with exposed hooks, hooksets are fairly easy and don't need a power set like with a jig or spinnerbait. When you feel a bite, a quick snap coming straight up with your rod is all you need. If you are rearing back or rotating your body or any of that stuff, you're putting too much into it. I don't put much slack in my line when I set the hook like I do with say jigs, because with a drop shot, a tighter line will keep that hook point upright, and if you give too much slack, it can turn sideways in the fish's mouth... so I shy away from bowing down to give slack to set the hook. The best part of the drop shot, is the fact you can fish it almost anywhere. If I were to show you in this video all the places that a drop shot works well in, then this video would be hours long. And if I showed you just a few, it wouldn't be worth it because it doesn't really matter anyway. It's meant to be fished shallow and deep and everywhere in between. You don't have the limitations like you do with a lot of other lures, like crankbaits and spinnerbaits. From the west coast to the east coast, every bit of water is suitable for dropshotting, so get excited. Remember at the beginning of the video, I said that if you come away with just one thing from this video, it's a new way of looking at the drop shot. It isn't a specialty rig. It's not from the bag of tricks. This is an everyday kind of workhorse. Put your trust in it, and start using it like any other bait in your box. It works.